Social Media is a vast space for one’s voice to be heard in. And more often than not, the louder one shouts here, the lesser is their voice likely to be heard at all. This presents a major dilemma for most social marketers. Should they ideally choose high quality of content or high quantity of content? This and many more questions come to one’s mind when engaging with the social media marketing puzzle. It’s time to find answers to these raging questions on our minds with the help of SRV Media, a highly renowned digital marketing agency in Pune. Getting conversions is less about the kind of fancy graphics you use for your adverts and more about thinking strategically and acting accordingly. What this means for you is that you need to select your platforms wisely by making certain that your target demographic is even visiting your chosen platform to begin with in the first place. This requires judicious use of highly insightful tools such as the Google Keyword Planneror Social Media Demographics. From here, you can peruse the most recent social media trends and make educated decisions based upon those. 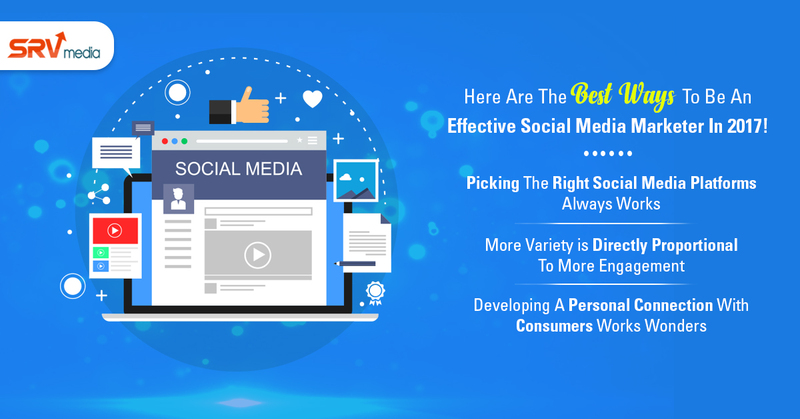 Seen from the perspective of a digital marketing company in Pune, it is highly beneficial to have different types of content going across different social channels to get the highest engagement rates. This is why it’s a good idea to integrate different types of creative adverts with fun and colloquial messages that are relatable, along with trendy information that easily connects with the brand’s overall values and ethos. Consumers aren’t merely “followers” of various brands and organizations, they are also their most active stakeholders. What this essentially means is that they expect prompt responses to queries and complaints from the brands and organizations that they follow on the web. As a result, there is nothing more satisfying for a consumer than a brand or an organization that takes the efforts to know them and to listen to their concerns. In turn, this sees the consumers trusting the brand(s) or organization(s) more and more. In fact sometimes, they’ll even go to the extent of recommending them to their friends, relatives, family and peers! This was a quick overview of how one could be an effective social media marketer in 2017. To ensure that your brand or organization too scales the same heights on social media, we suggest that you opt for the multitude of web and social media management services offered by SRV Media, a dependable organization offering exceptional quality digital marketing services in Pune! Next story Where is SEO headed in the Future?